UPDATE: Tory and Meek have released the music video. 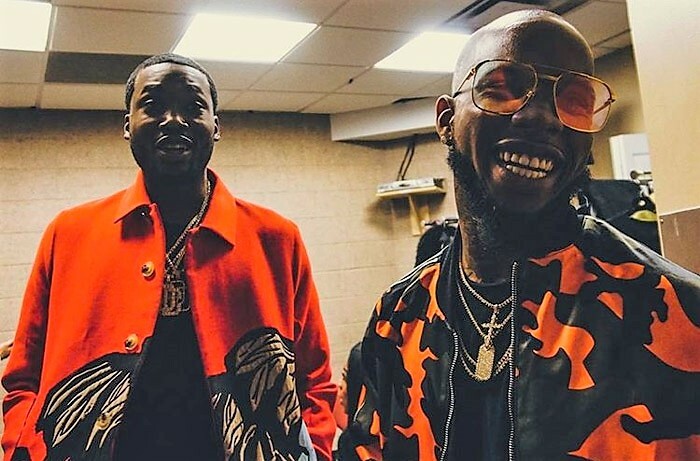 Tory Lanez and Meek Mill have collaborated on numerous occasions in the past, proving in the process that their chemistry is undeniable. After the success of ‘Litty‘ last year, which appeared on Meek Mill’s 2016 album DC4, the two are back with a fresh track. Tory is due to release his new album Love Me Now on October 26, as he announced a few days ago. In anticipation of the same, he has unveiled a new song today with Meek Mill called ‘Drip Drip Drip’. We’re not surprised that it’s the kind of tune which can be played in various environments. You can stream or preview it below. This has hit potential. Check out the complete tracklist for Love Me Now here which also features Chris Brown (twice), 2 Chainz, Lil Baby, A Boogie wit da Hoodie, Trippie Redd, NAV, Gunna, Bryson Tiller, Trey Songz and PnB Rock.